Somebody here loves turquoise! 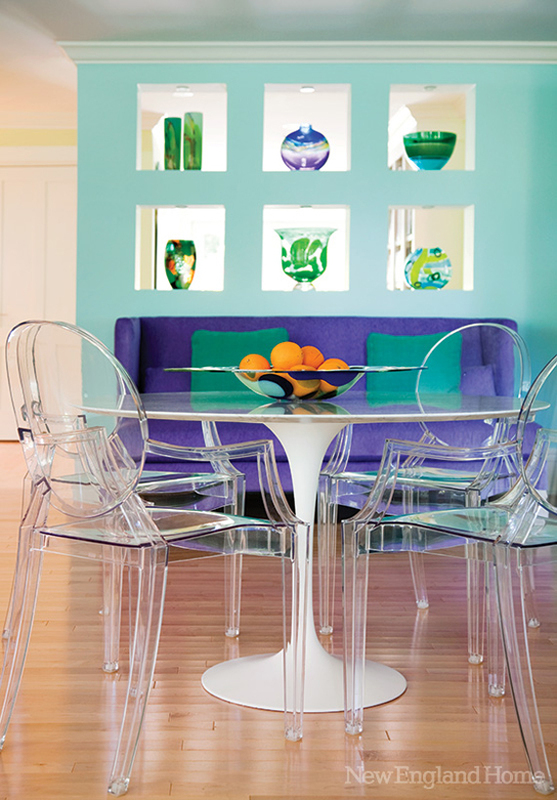 This colorful home belongs to artist and trained architect Margo Ouellette, who also acted as the interior designer. 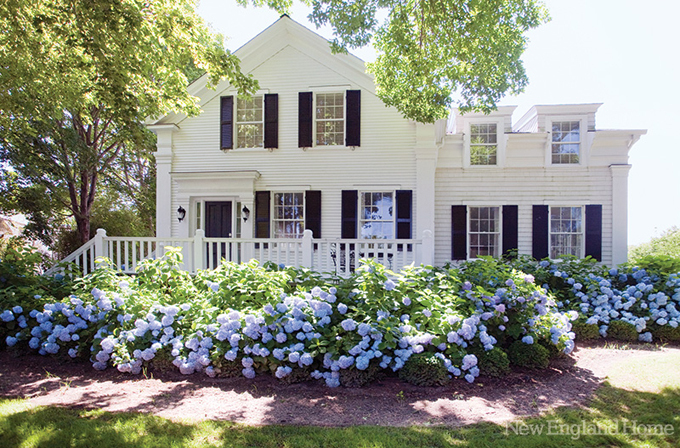 Pretend you hadn’t seen the amazing hydrangeas…would you believe the home is located on Martha’s Vineyard?? Looks so different than the interiors we’re used to seeing there. One thing stays the same though: inspiration from the view outside. 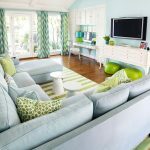 Margo chose the blues and greens to evoke the sea, and paired them with sand-colored wood floors and carpeting. It makes such a dramatic statement, especially as a backdrop for all of the of fab artwork created by Margo! 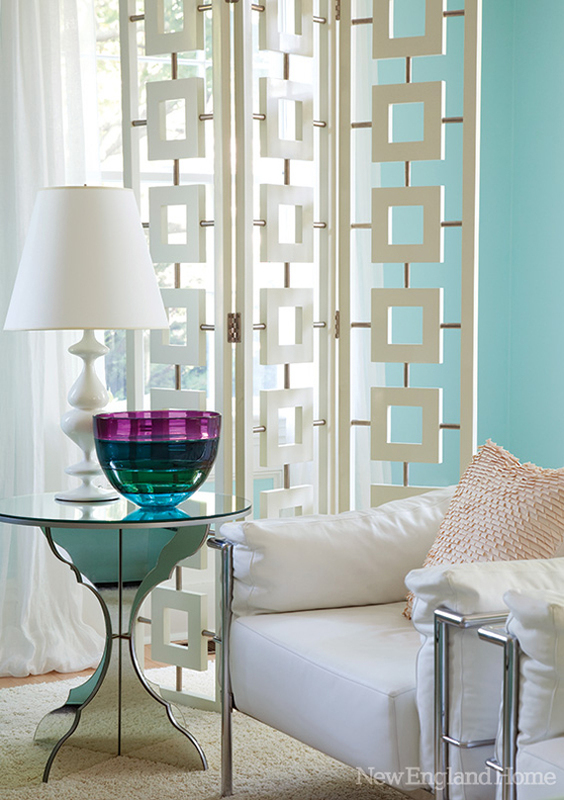 See more pics by Eric Roth and read all about this summer home over at New England Home! Wow!!! I love the exterior of the house and all of the hydrangeas! The interiors are "OH, La, La!!!" You can't feel tired in this place. The energy is this place is high and I like that!!! Ditto here, love the outside and flowers! I absolutely love this house. This is by far the best designer I've seen on here so far. 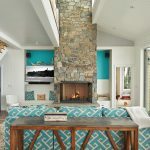 I love the open floor plan and how she was inspired by the beach, but didn't go too literal. Her personality is incorporated (adorable dog painting! ), but still offers inspiration for others. Thank you for sharing such a great home! Whoa – I'm awake now! What a blast of color. wowzer, this is….colorful, playful and really just plain stunning! I just took pictures of my bathroom make-over and realize what a difference good pictures make in a great post….I am going to work on that…. 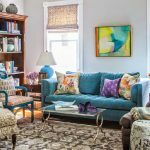 I could live and die happy in this house, especially in the living room with such perfect aqua wall color and wonder dog portrait. Love the hydrangeas ringing the front. I love this place!! I would never guess that behind that classic exterior (which is absolutely gorgeous btw) is such a vibrant, fun and pretty LOUD interior! She's got guts for sure! Oh yeah! That's what I want! A house decorated JUST like this! Amazing! BEAUTIFUL! Turquoise & purple are the perfect combo to me. OMG, I love this place! So traditional/conservative on the outside and fun/quirky/modern on the inside. The colors are of course what make this place (not to mention the garden/flowers). love the interiors of this place, especially the kitchen! This place is so whimsical and fun! thanks for sharing! happy wednesday! I love the unexpected color palette of the interior of the home given its location and its traditional New England appearance on the exterior. I have some nice blue on my blog today – maybe a bit on the teal side, but I think you will like it! 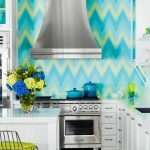 No fear of color here – love that! 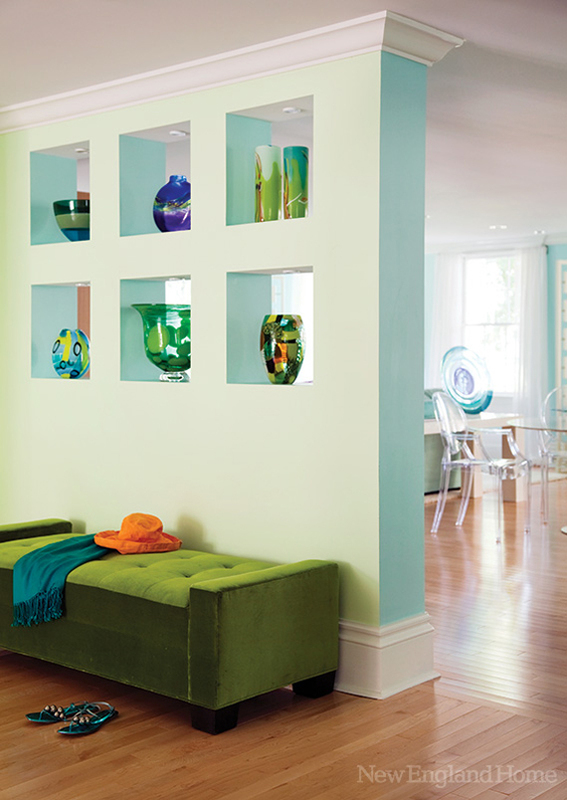 The purples and greens look great with the Turquoise. This is a great smattering of color–so brave and so skilled to combine all of those shades and still make everything look pulled together. And I'm dying over the exterior…..I want to try to grow hydrangeas like that in Minnesota!